Developer Cbus Property has submitted plans for a residential high-rise on the Brisbane River with a $375 million tower on the site. According to the Australian Financial Review, Cbus is seeking to turn the site at 443 Queen Street into a 47-storey tower, comprising 264 premium apartments. The tower has been designed by Architectus along with renowned architect Richard Hassell, of Singapore-based WOHA Architects. The development will be Cbus' third major residential project along with 35 Spring Street, Melbourne, and 85 Alfred Street, Sydney. 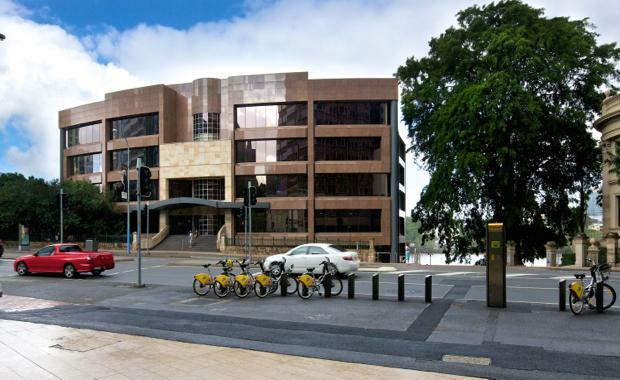 Speaking to the AFR, Cbus Chief Executive Adrian Pozzo said, "To date, Brisbane apartments generally have not been designed very well to address and take advantage of the city's subtropical environment. We think 443 Queen Street is a new generation of design for subtropical living. "Dicussing the design of the proposed tower, Architectus design director Elizabeth Watson Brown said, "The Queenslander - elevated on stilts and open to natural ventilation - was an inspiration for the tower...a true realisation in contemporary architecture of the way we love to live in Brisbane."